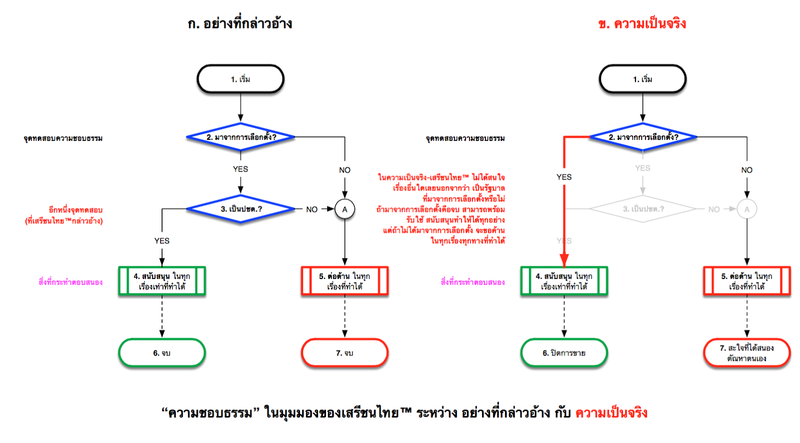 I haven't got much time to explain this flowchart, but it should be very straightforward regarding Thai Liberal™. 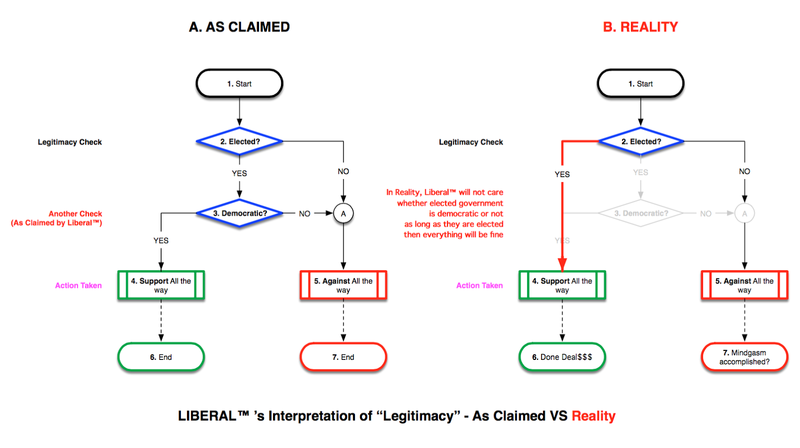 It is the truth about Liberal™ who might not realise that this is how others perceived him. Will try to find more time to explain this later. Again, thank you very much to my colleague @LastIFound who contributed all info regarding this Liberal™. PS. I also have Thai version included in here as well.